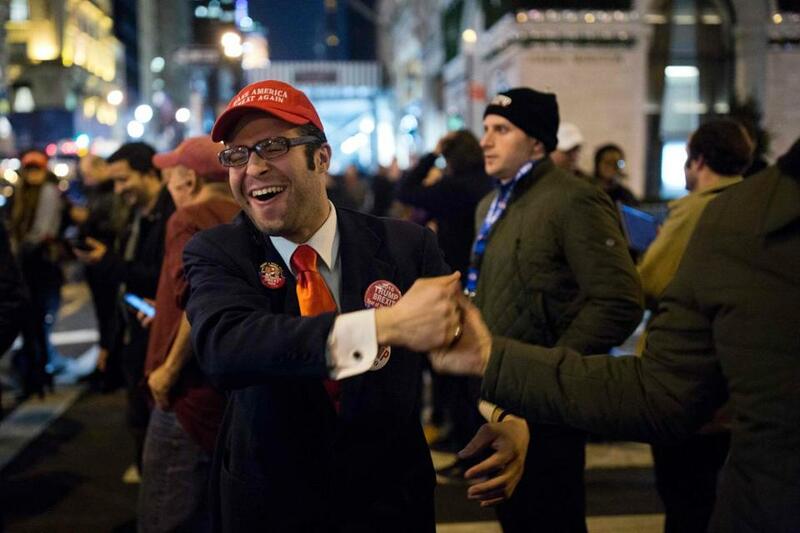 Donald Trump supporters celebrated the win outside Trump Tower in New York on election night. WASHINGTON — On the trading floors on Wall Street, in the hallways of Congress, and throughout European capitals, the message delivered by American voters early Wednesday rang clear: This is not a reality show. The nation absorbed the news that the world’s most powerful office will be occupied in 70 days by someone who prides himself on unpredictability, behaves erratically, and was portrayed by his opponent throughout the campaign as dangerous. Despite widespread uncertainty about how Trump’s confrontational campaign style will translate to global leadership, President Obama delivered optimistic remarks from the Rose Garden in which he sought to calm nerves. Some of his staffers wept, looked skyward in despair, or hugged one another as Obama spoke, as if at a wake. Republicans’ success in holding on to Congress hands the party the means to, as promised, dismantle President Obama’s legacy. But underlying the rosy talk was a sense of discord. Trump until recently questioned whether Obama was born in the United States, and Obama spent the past several months vigorously making the case that Trump was unfit to hold the Oval Office. 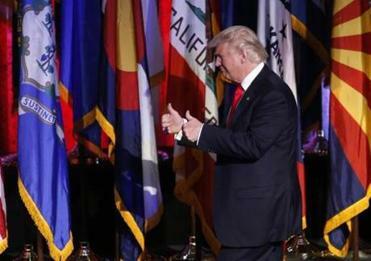 Trump himself did not make any public statements Wednesday, after he offered a conciliatory victory speech in the wee hours Wednesday morning. Trump spent the day in Trump Tower in New York meeting with advisers and began setting about the task of filling thousands of federal jobs, doling out ambassadorships, and figuring out the cabinet positions he will appoint. His Twitter feed was silent. Hillary Clinton also seemed interested in calming the waters after the nastiest campaign in modern history, calling for unity in a gracious speech in which she acknowledged the pain in losing what she hoped would be a history-making victory. “I know how disappointed you feel, because I feel it, too,” she said. “This is painful. And it will be for a long time.” She urged her supporters to both continue fighting for their principles and support her opponent as president. The lower volume seemed to settle financial markets. Although global investments took a dive in the immediate aftermath of Trump’s victory, the Dow Industrial average closed up more than 250 points Wednesday. Yet Trump’s campaign left deep concerns about how he will govern. Trump rode to power on a wave of anti-elitist, anti-intellectual, anti-Washington anger that was more potent than the political world expected. His victory was a seismic rejection of the way the country has operated in Washington for generations. Trump also will be the first president in history who has no government or military experience, leaving many questions highly unknown. Some are worried that Trump built his movement by appealing to the base instincts of an angry following, by preaching the exclusion of others and fomenting class hatreds and ethnic and racial divisions. Middle school teachers on Wednesday were given talking points about how to speak with students about the election, and some schools had counselors on hand in case they were needed. The Canadian website for citizenship and immigration crashed because of a surge in traffic. Global reaction was swift but mixed, with world leaders puzzling about what sort of president Trump would become. Will the climate change skeptic choose not to enforce the Paris climate accord? Will he attempt to start a trade war with China by formally branding it a currency manipulator, as he has threatened to do on the stump? Will he follow through with his promise of a temporary ban on Muslims entering the United States? Russia’s President Vladimir Putin said that he hoped Trump’s victory meant a warming in the frosty relationship that the United States has had with Moscow. The Kremlin also said that Putin sent a telegram congratulating Trump. “He spoke about resuming and restoring relations with Russia. We understand the way to that will be difficult, taking into account the current state of degradation of relations between the US and Russia,” Putin told Russian state television. The 28 foreign ministers of the European Union — who have been worried about Trump’s rhetoric against traditional allies and his skepticism of the 67-year-old North Atlantic Treaty Organization’s military alliance — are slated to meet Sunday in Brussels to discuss the US election results. Trump has criticized the Obama administration’s deal banning Iran nuclear weapons, saying it would be his “number one priority” to dismantle the landmark accord struck last year by Secretary of State John Kerry. Iranian President Hassan Rouhani said Wednesday there was “no possibility” of its being overturned, since the deal was struck with a number of world powers, not just the United States. One of the alliances that will be most tested will be the relationship between the United States and Mexico. Trump, who met with Mexican President Enrique Pena Nieto during a dramatic campaign visit, has said that he would force the country to pay for a wall along the border. He also denounced the North American Free Trade Agreement. The peso plunged upon news of Trump’s victory. The scene outside of a heavily guarded Trump Tower on 5th Avenue grew chaotic and revealed some of the lingering tensions. In one barricaded pen, a handful of men holding “Blacks for Trump” signs gave media interviews denouncing Clinton, who they said had failed the black community. On the outskirts of the scrum, a woman named Kristy Blaine stood shivering in the rain, holding a small sign: “Some of my family voted for Trump! I am sorry America!” Blaine, a 36-year-old New Yorker, said she regretted not pushing her relatives harder in the days before the election. GOP plans assault on Obama legacy with full control of D.C.
Nestor Ramos of the Globe staff contributed to this report. Matt Viser can be reached at matt.viser@globe.com.